Let’s start with a backstory. 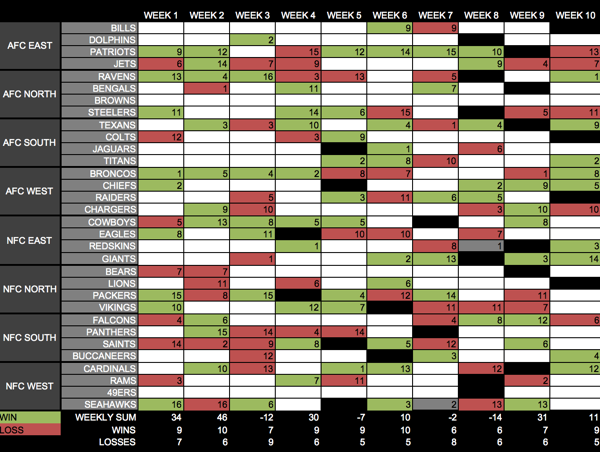 In 2010, my dad, Robert Okun, and I started using an Excel spreadsheet to see who could correctly predict the outcome of more NFL games on a weekly basis. This caught on quite easily, and we’ve kept the game going since then. Along the way we made some additions to the game rules, trackers, points, and so on. Needless to say, the Excel spreadsheet has become a little, uh, let’s call it cumbersome. After the 2016 season ended, a few things became clear. The Excel spreadsheet was getting old. We wanted to invite others to play, but it wasn’t an easy onboarding process. How could we better manage our own gameplay and more easily involve others? As a developer myself, a web or mobile version of the game seemed like the obvious option. You do know where I’m going with this, don’t you? Something like LoopBack sure would be easy to get this up and running. Sure enough, the talk turned to reality, and something exciting is underway. My dad now works for The SilverLogic as their Chief Business Development Officer, and he and David Hartmann, CEO have put a vision in place to make this a fully-playable and open source (!!!) game in time for the 2017 NFL Season. The SilverLogic (TSL) is a full service software engineering firm based out of South Florida, working with clients on unique ways to leverage mobile and web technology to make your life easier. Check out their portfolio here. Along with using LoopBack, Kitura, and Bluemix, TSL are working hard on a base application called BaseApp accelerating rapid development of iOS and Android applications, which they plan to open source as part of this release. I think this is going to be a really fun game to play. I’ve played fantasy football and other things of that nature before, but this was always super easy to play, and pretty fun to do in a group, even if it is SportsBall™ related. Nonetheless, it was tough to keep track of on a spreadsheet, and it’s really exciting to see TSL take such ownership in making this turn to a reality. There’s even an ongoing discussion around getting Watson involved as someone to play against! Update (7/13/2017): We’ve got some code for you to check out! 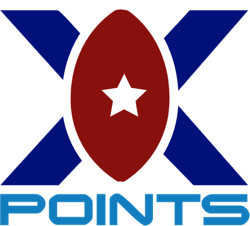 You can look at the LoopBack component of XtraPoints here. It’s in active development, so feel free to get involved if you want to help! You can also check this repo for how the website scraper is made in Swift, using Kitura. TSL are planning to release the first version of the app on iOS by the end of this month, to allow enough time for all of the downloads to happen before the season starts. It’ll be totally free, and you’ll be able to watch the game get made in real time on GitHub soon. Being open source, I’m positive that TSL would love contributors to come on board and help get it up to speed. If you want to make a backend application just like XtraPoints, go see how you can have an API up and running in five minutes here.